Sephora has a new promo! 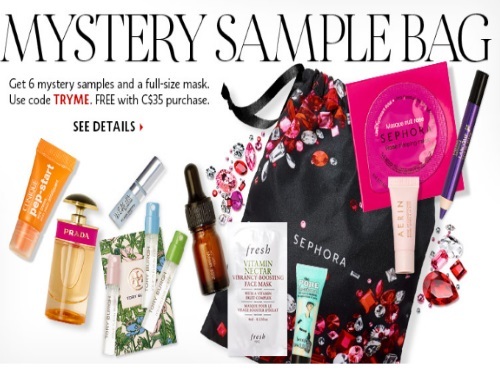 Get a Free Mystery Sample bag which includes 6 mystery samples and a full-size Sephora Collection mask! Please note too - Sephora's 20% off sale starts November 4 for VIB/VIB Rouge members!